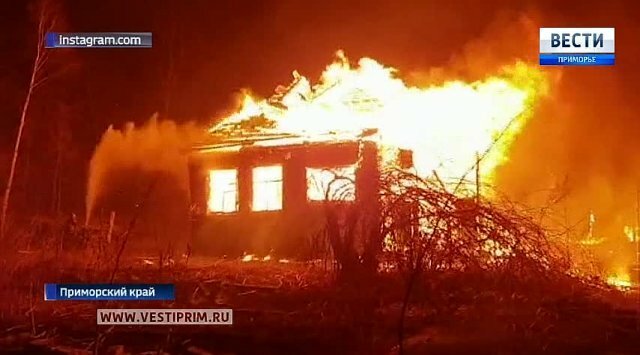 For the past day the 10th of March 19 forest fires were eliminated in Primorye. On Monday morning 11th of March three forest fires are still active. Three fires were extinguished in the Dalnegorsk urban district in the territory of the Monomakh district forestry, two fires in the Olginsky (Olginsky and Perm district forest districts), Partizansky (Volchanetsky and Vladimir-Alexandrovsky district forest districts), Pozharsky (Pozharsky district forestry), Kirovsky (Kirovsky district forest districts), Kirovsky (Kirovsky district forest districts), Pozharsky (Pozharsky district forestry), Kirovsky (Kirovsky district forest districts), Pozharsky (Pozharsky district forestry), Kirovsky (Kirovsky district forest districts), Pozharsky (Pozharsky district forestry), Kirovsky (Kirovsky district forest districts), Pozharsky (Pozharsky district forestry), Kirovsky (Kirovsky district forest districts), Pozharsky (Pozharsky district forestry), Kirovsky (Kirovsky district forest areas), Kirovsky (Kirovsky district forest districts), Pozharsky (Pozharsky district forestry), Kirovsky (Kirovsky forest districts). ) districts, Lesozavodsky urban district (Lesozavodskoe and Resort district forestry). One by one - in Chernihiv (Rettihovskoe divisional forest), Dalnerechensk (Mezhdurechensk divisional forest), Kavalerovo (Kavalerovsky divisional forest) Anuchinsky (Chernyshevskoye divisional forest) areas Ussuri (Nicholas Lviv divisional forest) and Artem (Factory divisional forest) urban districts. There are two fires in Shkotovsky district (Anisimovskoye and Shkotovsky district forest areas) and Terney area (Terney district forest department). 263 people worked on fires, 54 units of equipment were used. According to the space monitoring 158 thermal anomalies were detected in the Primorsky Region. Since the beginning of the year 239 forest fires have been registered on the lands of the forest fund. Special fire protection regime operates in 11 municipalities of Primorye: in Khasansky, Partizansky, Lazovsky, Khankaia, Kavalerovsky, Olginsky, Nadezhda, Oktyabrsky, Pozharsky districts, in Ussuriysky and Dalnegorsky urban districts. The fire season is officially open in 20 municipalities of Primorye. In another 10 municipalities it will be announced from 15th of March.